Amazon bikes have become the next big thing in exercising. In fact, you may have overheard others talking about spin class. 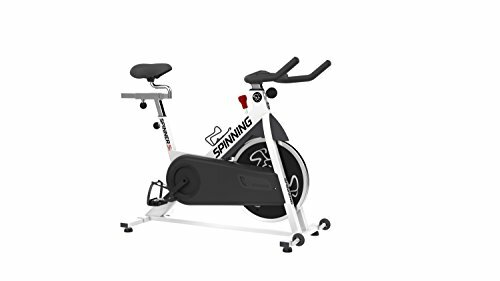 Just like everything else in this day and age, there are tons of options to choose from when it comes to indoor cycles or spin cycles. Indoor biking is not only a fun way to exercise, but the health benefits are huge. It helps decreases blood pressure, resting heart rate, burns calories, increases muscular endurance, and helps lower stress levels. Not only are you able to exercise right in the comfort of your own home, you don’t have to miss a day due to the weather. There are so many styles to choose from, it can be hard to figure out the right one to suit your needs. There are cycles with LCD displays and tons of bells and whistles. And, there are standard cycles with no frills but help you get the job done. The best way to make certain you get the one you’re looking for is to decide on the amount of resistance adjustments you’d like to have, research the bike’s comfort, and decide whether or not you want an LCD display. 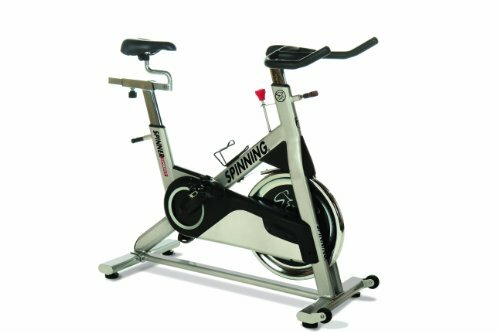 We’ve put together our top 5 list of indoor cycles and spinning bikes to help you find the best one. And, don’t forget the perfect pair of cycling shoes are a must to get everything you can out of your workout and stay comfortable while doing it. We’ve also listed our top 5 picks in men’s and women’s cycling shoes in our Best cycling shoes for indoor cycling bikes post.We hope you find this article helpful in deciding on the best cycle and shoes for your workouts. Schwinn bikes have been around forever. It’s no surprise the company joined in on the indoor cycle craze. 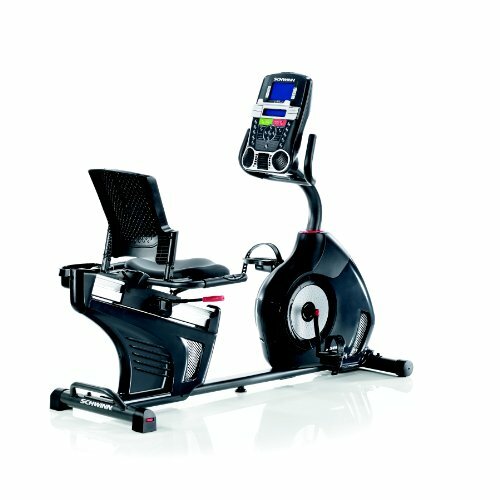 The 270 Recumbant has a dual track LCD window system monitor that allows users to view up to 13 different displays and/or workout feedback. It also allows goal tracking and data export to help you keep up with your exercise goals. 29 programs and 4 user settings are incorporated to keep you motivated. The high-speed inertia perimeter flywheel is weighted to give the user a smooth and quiet ride. It also contains ports for data exchange and charging portable devices. The seat and base are easily adjusted. 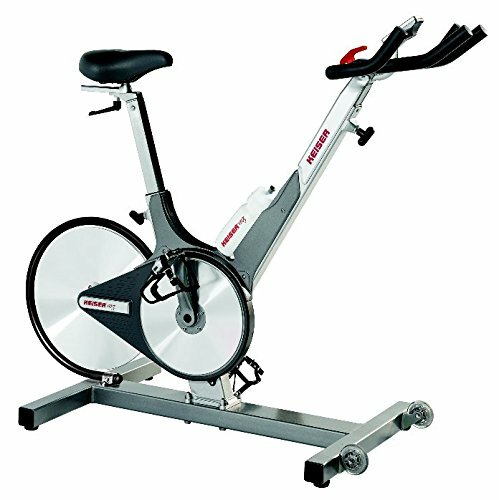 This indoor bike has a 40lb flywheel and an adjustable seat and handlebars. It has a heavy-duty crank and smooth chain drive mechanism ensuring a smooth ride. The resistance system is adjustable to make your workout easier or harder. The weight limit is up to 275 lbs. This bike has a large seat cushion and is easily adjusted for users 5’3” to 6’1”. Recommended weight is up to 300 lbs. It has an 8 level magnetic tension control. The LCD display shows distance, calories burned, time, speed, and heart rate when using the hand pulse monitor. The 3 piece high torque crank system allows smooth pedalling. The balanced flywheel and v-belt drive ensure a quiet ride. The pedals include safety straps. This bike comes with a 1-year limited warranty. 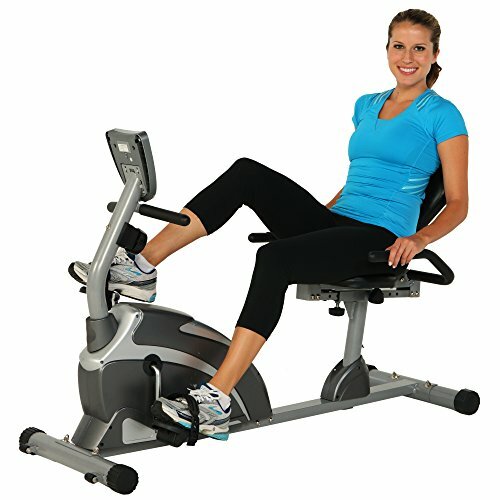 Keiser bikes are also well known which is always a plus when choosing any item. This technologically advanced bike has a Bluetooth wireless backlit display in which users can transmit movies, books, and more to the screen and it can sync with most portable devices. It also displays heart rate, distance, speed, and much more. It has a pull-pin Eddy current with a magnetic resistance system. It includes a 4-way adjustable seat, wheels for easy transport, a water bottle holder, and adjustable handlebars. 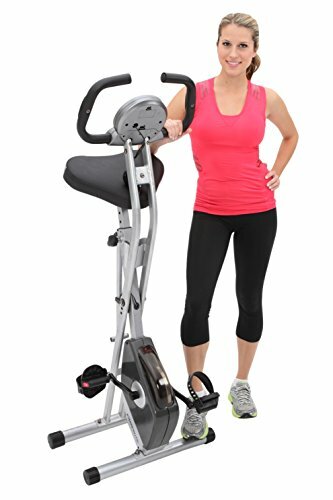 Another great recumbant bike, the Exerpeutic 900XL has an 8 level magnetic tension control system and a smooth torque cranking system. The easy to read LCD monitor shows distance, calories burned, time, speed, and heart rate when using the hand pulse monitor. It includes wheels for easy transport and extended leg stabalizers for safety. It is recommended for up to 300 lbs. 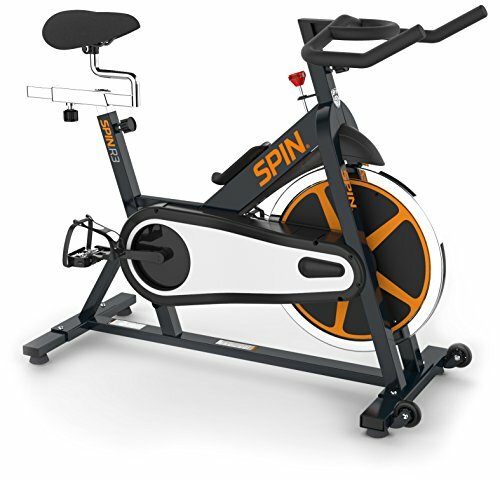 This spin bike by Mad Dogg has a commercial grade construction making it more durable. It includes a 43lb signature weighted flywheel for a smooth ride. The fixed handlebars are angled 5 degrees up from horizontal for a more comfortable posture. It has a leather brake pad for reliable braking and optimized Q-factor at 150mm. Resistance can be adjusted by turning a knob. 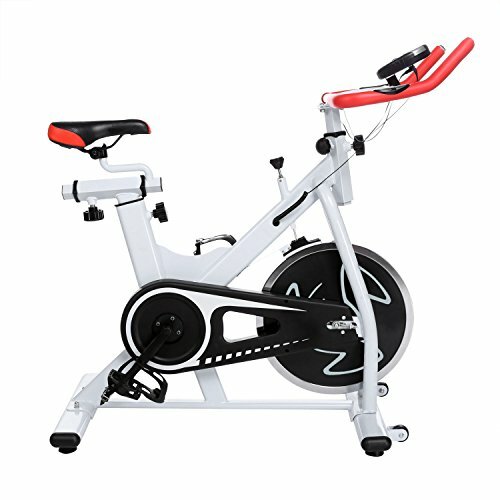 This spin bike has an adjustable no-slip handlebar with rubberized grips. The wide padded seat is adjustable with fore and aft seat sliding and vertical and horizontal adjustments. It includes a water bottle holder on the frame and has a 1-year limited parts warranty. 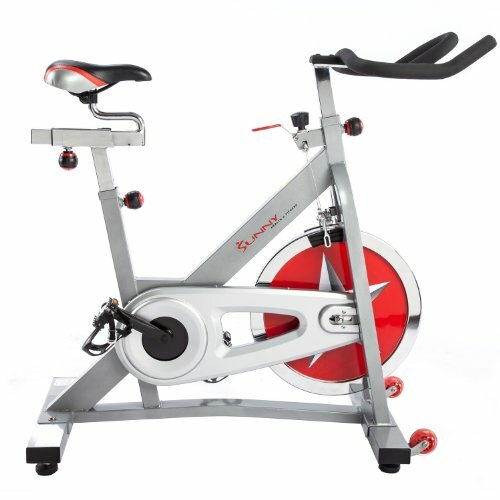 The Ancheer bike has an adjustable resistance system with steel flywheel and maximum resistance you can barely turn. The seat and handlebars are adjustable. It includes transport wheels and a water bottle holder. the LCD shows calories burned, speed, distance, time, and heart rate. It also includes a heavy-duty crank and leather belt drive mechanism ensuring a smooth quiet ride. 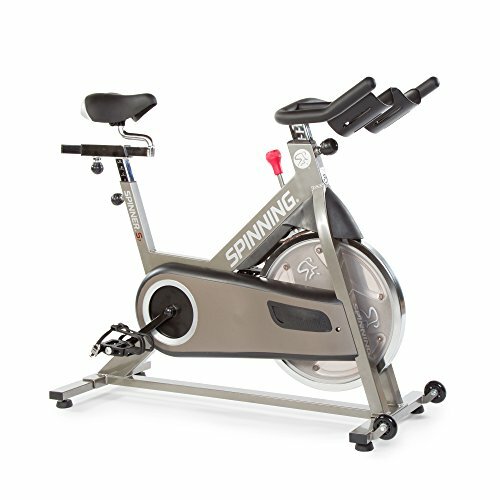 The SPIN R3 bike has a strong steel tube frame and an optimal 31 lb perimeter-weighted chrome-plated flywheel. The 2 piece fender protects the brake and flywheel assembly from moisture. The patented multi-grip 5 degree handlebars are non slip. Resistance can be adjusted with a knob. This bike features a push-to-stop resistance knob, dual-density grip surface with insert, and a leather brake pad. It has a wide padded seat and is recommended for up to 250 lbs. It also includes a 35lb flywheel and a water bottle holder. Check out our guide to the best Olympic Weight Sets to help you improve power output by developing Olympic cleans.